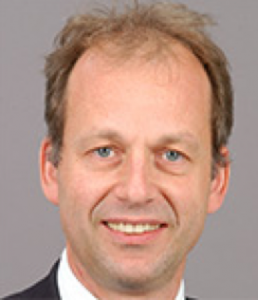 Klaus Parhofer is Professor of Endocrinology and Metabolism at the Medical Department 4 in the Ludwig Maximilians University of Munich in Germany, a position he has held since 2003. Dr Parhofer obtained his medical degree at the Universities of Mons, Belgium and Munich, Germany and postgraduate specialisation in Internal Medicine, Diabetology and Endocrinology and in Intensive Care Medicine. Dr Parhofer also held a postdoctoral position in the Lipid Research Centre at Washington University St Louis, USA and at the Department of Bioengineering at the University of Washington, Seattle, WA. His research has focused on lipoprotein metabolism, particularly diabetic dyslipoproteinemia, postprandial lipoprotein metabolism and LDL-apheresis. Besides basic research he is also involved in many clinical studies. He has published over 150 articles in scientific journals. As a clinician he sees patients on a regular basis. Dr Parhofer is a member of many professional societies and associations.